Have fun skiing and working this winter. Each winter Utah's ski resorts and ski related businesses hire thousands of employees each year. Job include temporary seasonal help to work the lifts, restaurant, hotels, and other facilities as well as year round employment opportunities. SkiUtahJobs.com was designed to help you find the most up-to-date ski-related job listings available in Utah. 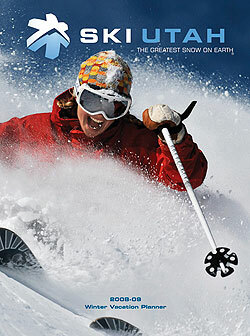 Our goal is to provide a one-stop website that includes all ski related jobs across the Utah. Stay Informed with our SkiUtahJobs.com Alerts! Let us help you with your job search. SkiUtahJobs.com can instantly inform you when new jobs become available. Simply signup for our automated job alerts, and you will be notified via email every time a new job gets posted at SkiUtahJobs.com.